If you would like to ask about or request ratings for a program or event on these networks, please reach Douglas on Twitter @SonOfTheBronx. The NASCAR Monster Cup race Overton’s 400 on July 30 from Pocono, Pa. was NBCSN’s top telecast of the week with 3.67 million viewers but was a 14-percent increase from the race of two years ago (Aug. 2, 2015: 4.264 million viewers) when it was known as the Windows 10 400. Rain delayed the 2016 Pocono race to Monday, Aug. 1, 2016 and had drawn 1.47 million viewers. With NASCAR airing on NBCSN on July 30, the Honda Indy 200 from Lexington, Ohio shifted to CNBC and drew 200,000 viewers for its live telecast. After NASCAR’s Pocono race, the replay of the Honda Indy 200 on NBCSN prime time drew 576,000 viewers. Last year’s race that had aired live on NBCSN (July 31, 2016: 811,000 viewers). As a positive, this race was up 16 percent from two years ago when it had also been a CNBC telecast (Aug. 2, 2015: 172,000 viewers). The United States’ 2-1 victory over Jamaica in the “2017 CONCACAF Gold Cup” final in soccer on Wednesday, July 26 drew 2.29 million viewers (1.2 household rating) on Univision and Univision Deportes and 1.77 million viewers (1.01 household rating) on FS1. The combined audience of 4.06 million viewers — the lowest viewership for a Gold Cup final this decade so far, compared to Mexico-Jamaica in 2015 (6.98 million), USA-Panama in 2013 (4.7 million), and USA-Mexico in 2011 (8.9 million) and in 2009 (5.8 million). On a more positive note, the 2017 CONCACAF Gold Cup final on FS1 was the No. 1 cable telecast for the night on July 26 among adults 18-49 (0.71 rating). For weekday mornings of July 17-21 and July 24-28, FS1’s highly-promoted “Skip & Shannon: Undisputed” averaged 137,000 viewers, defeating the 10 a.m.-noon period of “SportsCenter” on ESPN2 (average of 117,000 viewers). Skip Bayless’ previous talk show “First Take” on the ESPN flagship outdrew both competing programs combined with an average of 320,000 viewers. The U.S. Girls’ Junior Amateur golf tournament on FS1 in the afternoons of July 27-29 averaged 83,000 viewers, besting the boys’ amateur tournament from the previous week (July 20-22, 2017: 59,000 viewers). In total viewership for its entire week in Prime Time (8 p.m. to 11 p.m.), NBCSN is down -24 percent (145,000 vs. 190,000) from one week earlier and down -41 percent (145,000 vs. 246,000) from the same week one year ago (July 25-31, 2016). In total viewership for its entire week in Total Day (6 a.m. to 5:59 a.m.), NBCSN is up +12 percent (181,000 vs. 161,000) from one week earlier and up +20 percent (181,000 vs. 151,000) from the same week one year ago (July 25-31, 2016). In total viewership for its entire week in Prime Time (8 p.m. to 11 p.m.), FS1 is down -29 percent (313,000 vs. 441,000) from one week earlier and up +61 percent (313,000 vs. 194,000) from the same week one year ago (July 25-31, 2016). 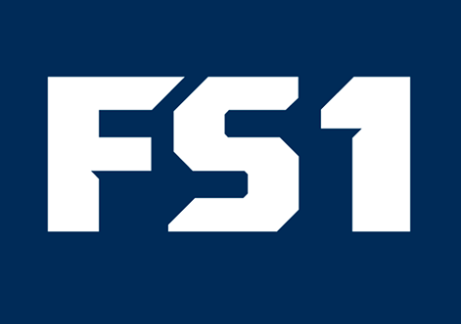 In total viewership for its entire week in Total Day (6 a.m. to 5:59 a.m.), FS1 is down -12 percent (134,000 vs. 152,000) from one week earlier and up +35 percent (134,000 vs. 99,000) from the same week one year ago (July 25-31, 2016). In total viewership for its entire week in Prime Time (8 p.m. to 11 p.m.), FS2 is down -45 percent (32,000 vs. 58,000) from one week earlier and down -44 percent (32,000 vs. 57,000) from the same week one year ago (July 25-31, 2016). In total viewership for its entire week in Total Day (6 a.m. to 5:59 a.m.), FS2 is down -18 percent (23,000 vs. 28,000) from one week earlier and up +5 percent (23,000 vs. 22,000) from the same week one year ago (July 25-31, 2016). Douglas Pucci is a contributor to Programming Insider and blogger at Son of the Bronx.